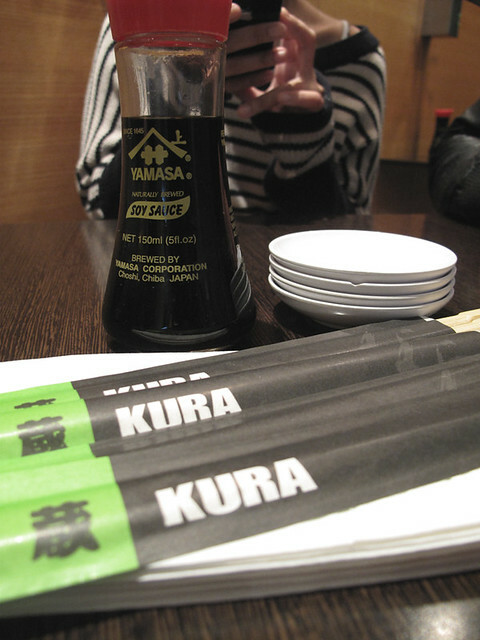 Kura – Pyrmont | A Weblog about.... food. I REALLY shouldn’t have read this post starvingggg….and with a crappy salad I packed myself for lunch as my only salvation……I am a Chicken Katsu addict and the photo is making me salvate! 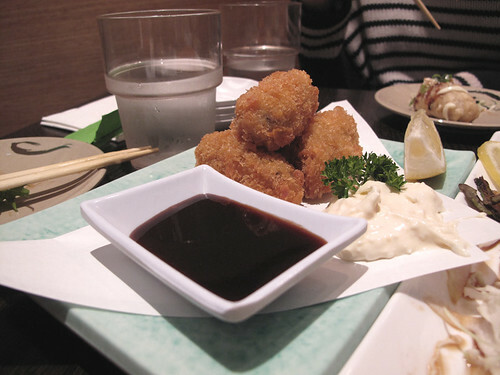 …………..the deep fried oysters look amazing too……adding this place to the list fo sure! 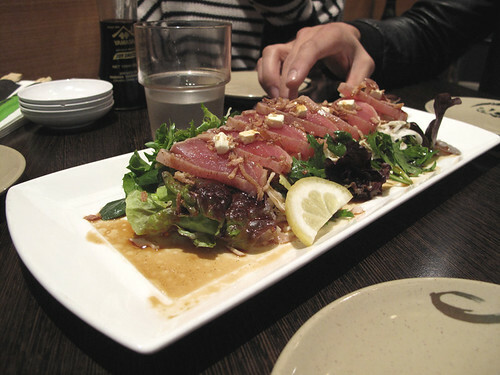 what’s on top of the tuna tataki, tofu? to be honest i cant really remember…. im thinking some kind of cream cheese at the moment only cos it looks too stingy to be tofu…. You forgot to mention the highly inappropriate dinner conversation topic followed by actions, mostly by you. that tunnel story sounds freaky, but intriguing at the same time… got me wanting to try kura at pyrmont now even though i’ve already been to the other kuras! One day, I’ll turn into Ultraman and fight Godzilla! That would be awesome! 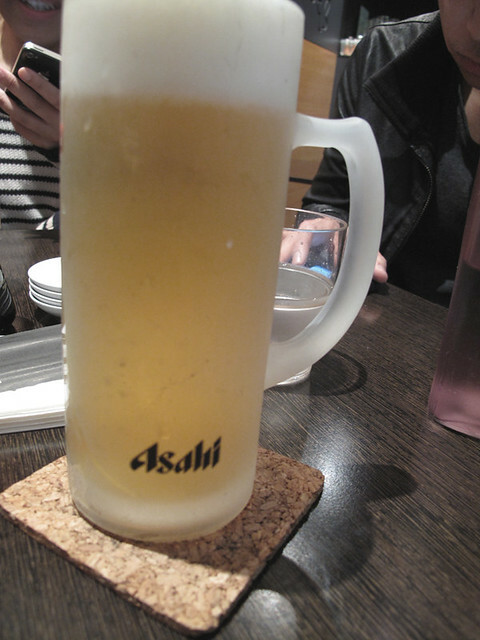 God, tataki, what I wouldn’t give at the moment to be eating that – with an Asahi mind. Yummm! V jellyelealous. I am liking the photos on your blog. 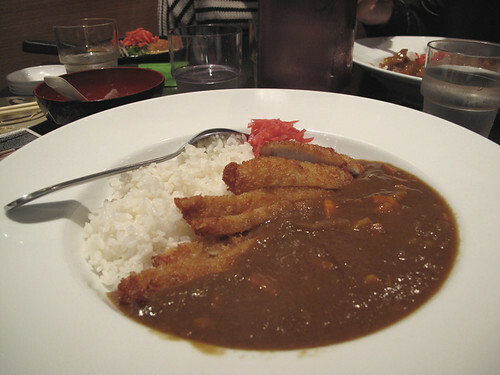 I like that they look like actual pictures of actual food someone actually took in a restaurant. That sounds like an insult, but it’s not.